Recognized as Travel Leisure's A-List Agent for Disney destinations, Beci leads a team of over 80 Vacation Planners dedicated to making magical vacation memories. Going on 20 years of travel industry experience, special event planning and extensive first hand knowledge of Walt Disney World, Disneyland, Disney Cruise Line, Adventures By Disney, Disneyland Paris, and approximately 32 other cruise lines and vacation suppliers, she provides a solid foundation of knowledge to help her team find the right fit for your family and maximize your vacation dollar. 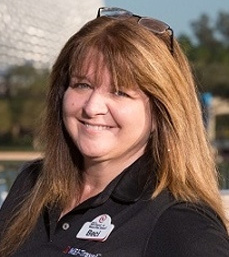 Beci is a frequent guest on several travel podcasts including WDW Radio and is a regular contributor to Celebrations Magazine. She also serves on Disney's Earmarked Travel Advisory Council.